Henry Sewell, our first premier – or colonial secretary as early premiers were called – was more of a sojourner than a settler. Although he spent 17 years in New Zealand in three periods between 1853 and 1876, he never put down deep roots. Sewell followed his father into the law – and into debt. 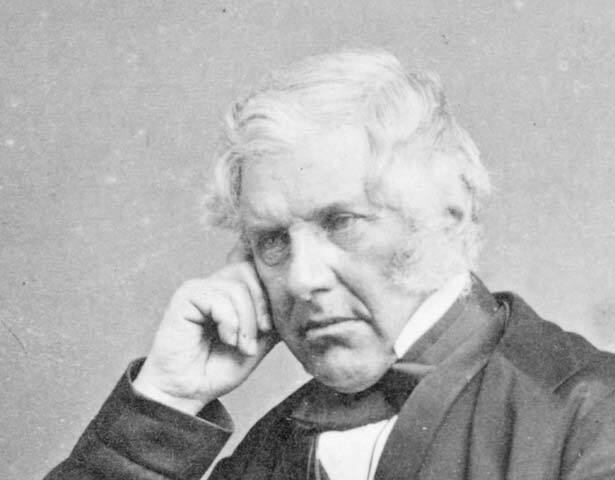 In 1842 Thomas Sewell died owing so much that Henry took 30 years to settle the bills. Two years later his woes were compounded by the death of his wife, Lucinda. A sister cared for their six children until Sewell married Elizabeth Kittoe in 1850. He worked for the Canterbury Association and came to New Zealand in 1853 to wind up its affairs. Witty and well-read, he pitched into colonial politics, serving in ministries whenever he lived here, but he was too reserved and elitist for the rough and tumble of colonial politics, as the brevity of his premiership showed. Opposed to the use of force against Māori, Sewell was highly distressed by the outbreak of war in Taranaki in 1860, and resigned from the government in protest at the land confiscation policy. He left politics in 1873 and returned to England, where he died six years later. We have 1 event in history, 14 biographies, 2 articles, related to Henry Sewell.